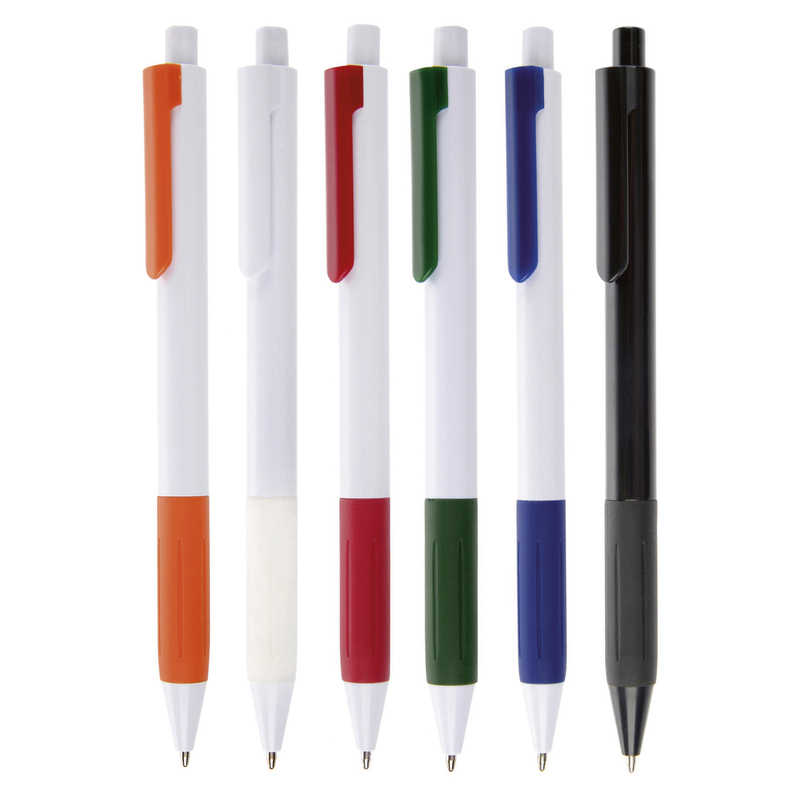 We have over 50 styles of pens, pencils and other writing equipment in stock. Our printing methods enable us to offer great prices on bulk orders. 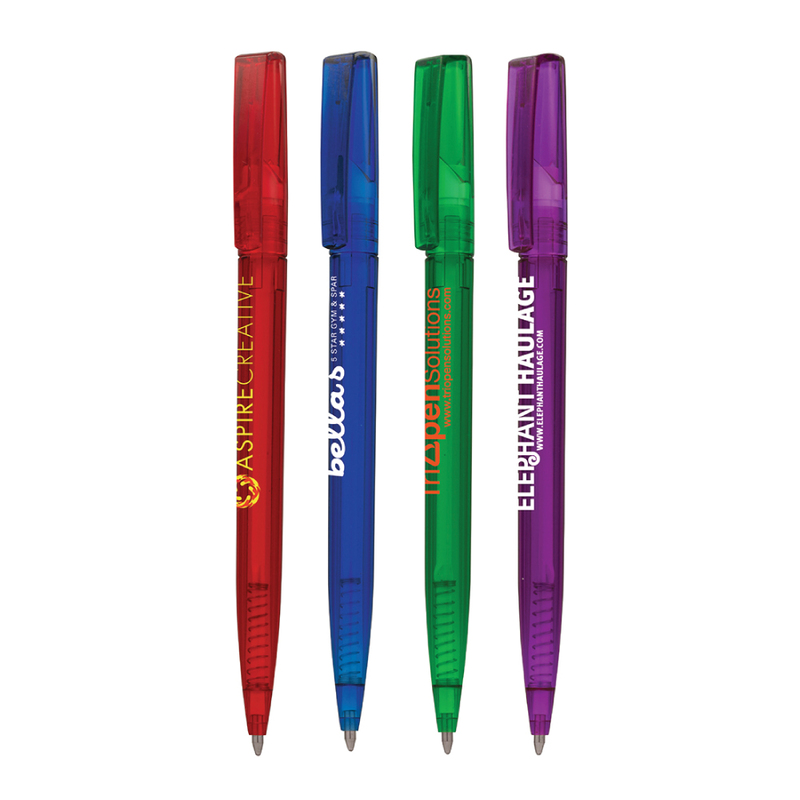 Our pens are a great way to advertise your brand. Our custom printing means you can add your logo or message either printed or engraved. 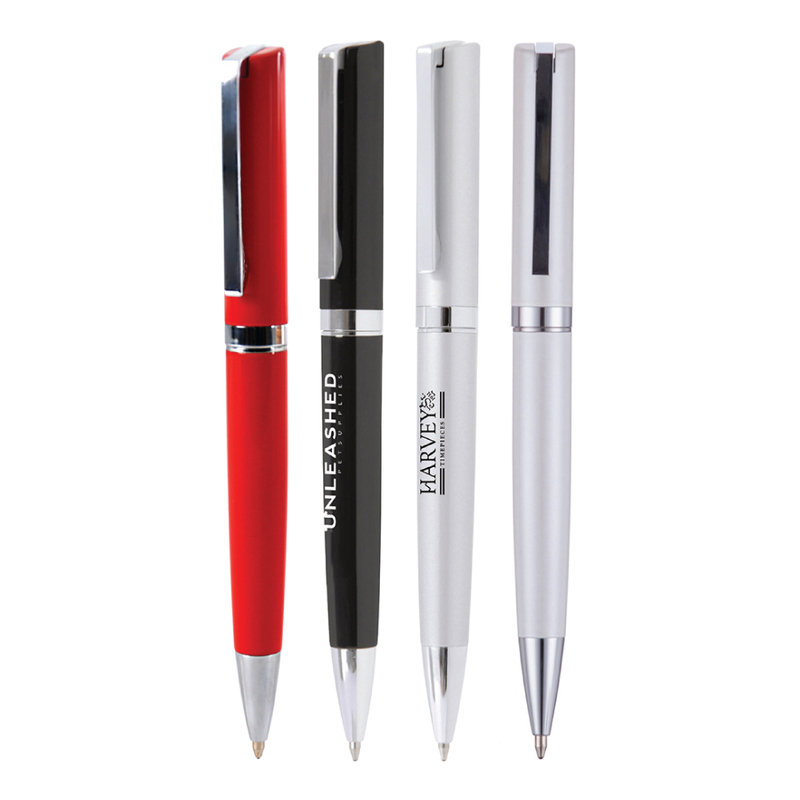 Branded pens are a great way to promote your business. Using pad printing, screen-printing & engraving we offer a complete service to make sure your business gets the perfect branded product. Our range is constantly changing so contact us for the latest products. Vibrant Colours with stunning chrome trim and a great print area – great value for money. 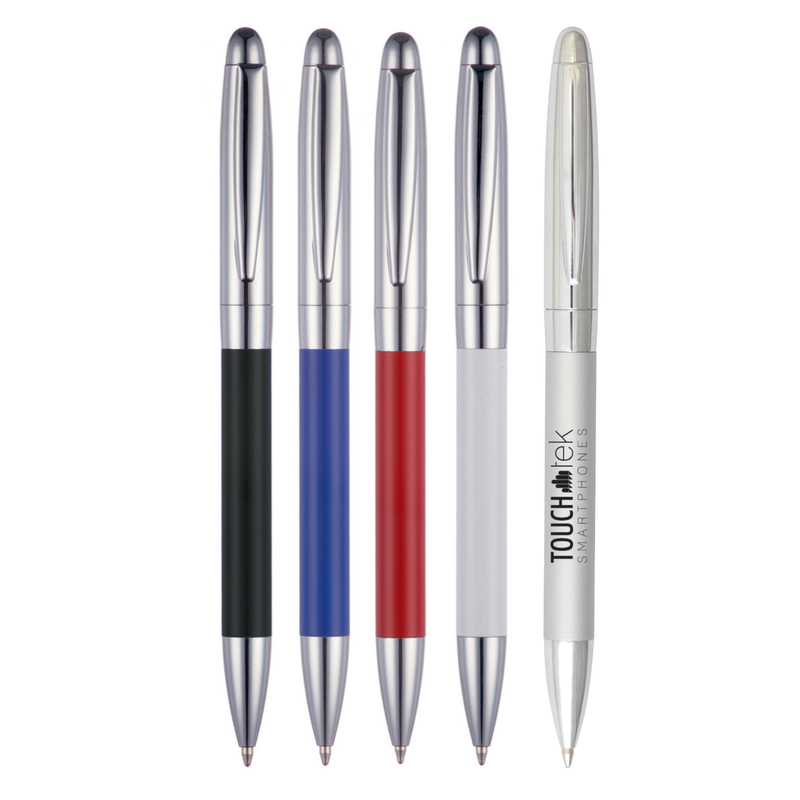 A top quality push action frost ball pen with a large capacity parker style refill. A great print area to both barrel and clip.. 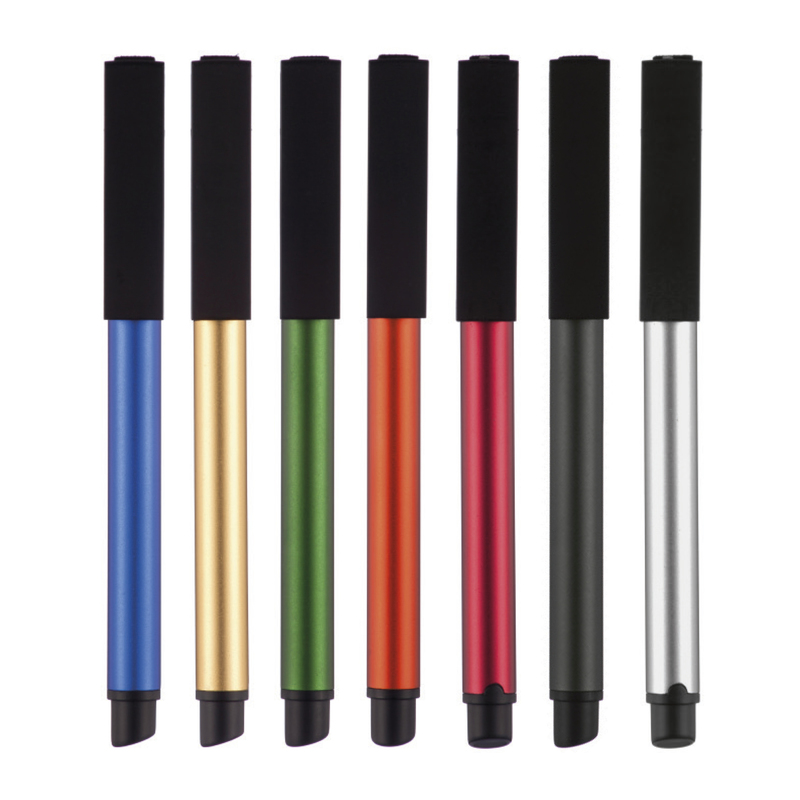 The Toro Lux is available in vibrant metal finishes, & can be printed or engraved to the highest quality. 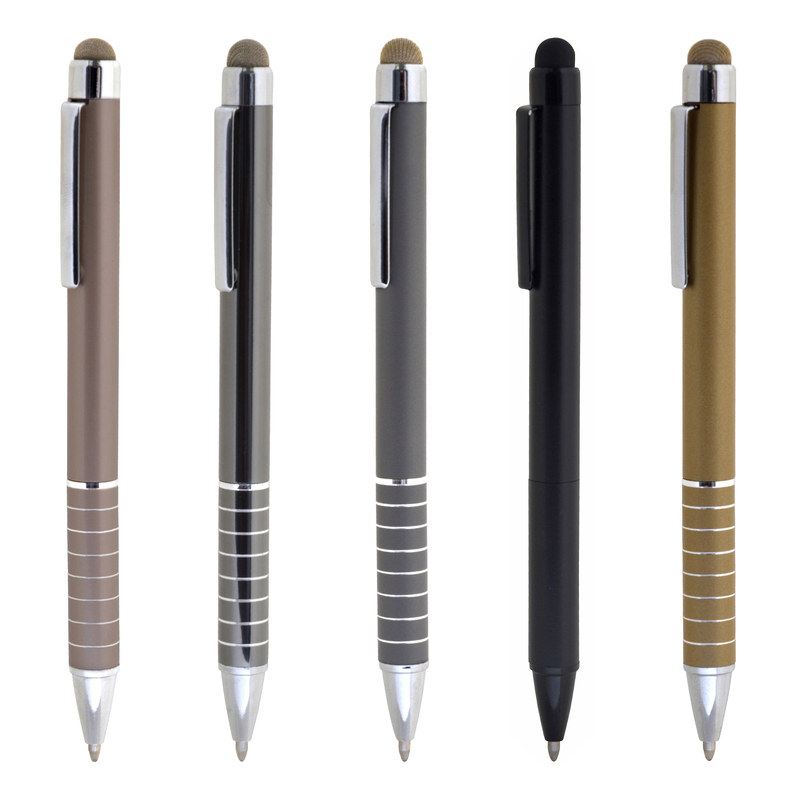 Incredible value in this metal pen that can be printed or engraved. Great marking area to the barrel. Great range of colours. 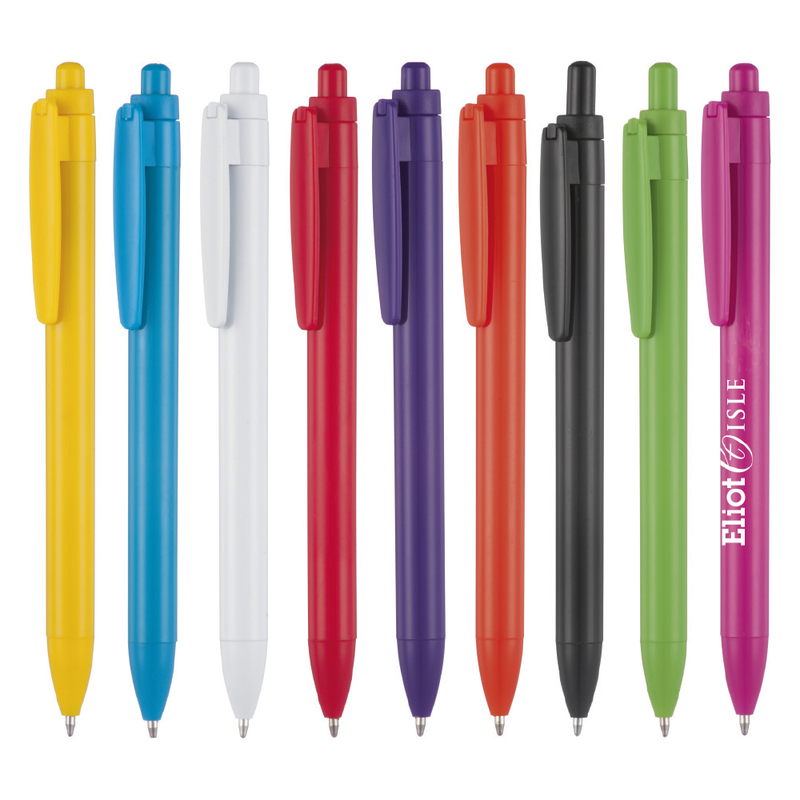 A prestigious version of the best selling HL Stylus pen. 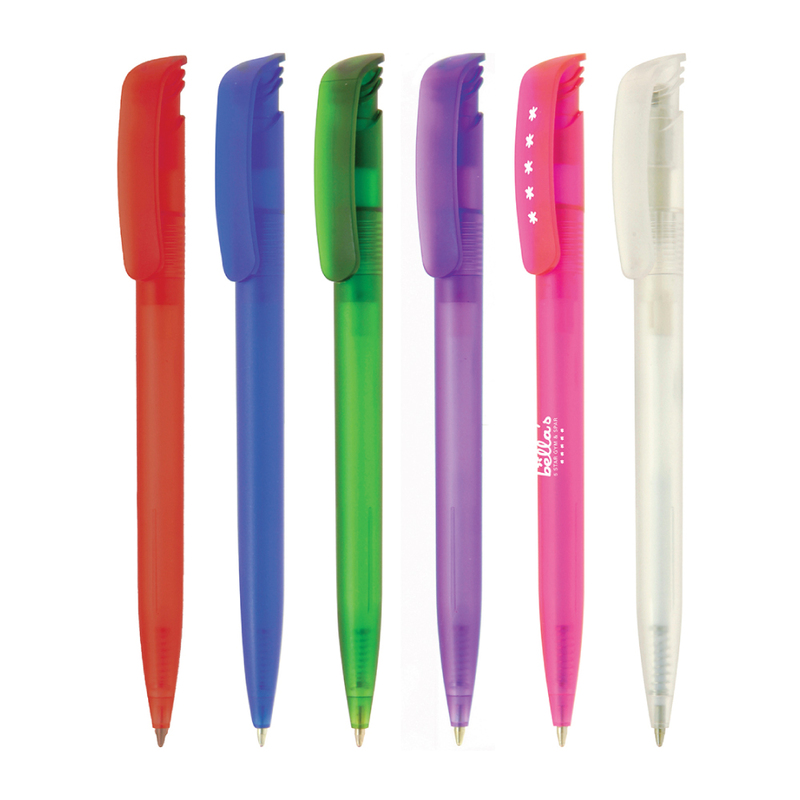 Available in a range of special finishes , all with a fabric stylus. 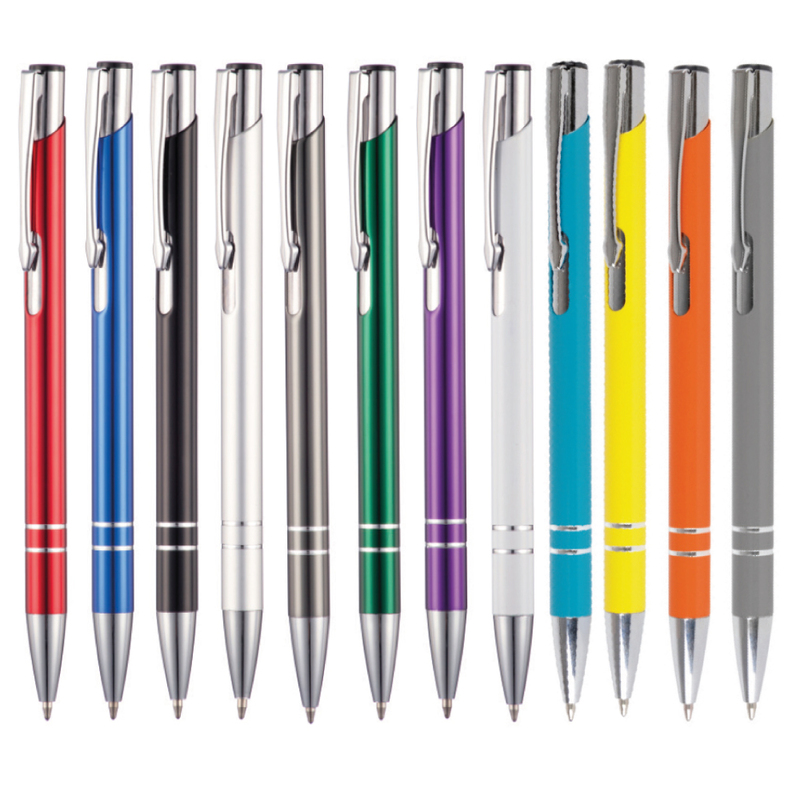 This sleek twist action aluminium pen has a weighty, quality feel and is one of our best sellers! 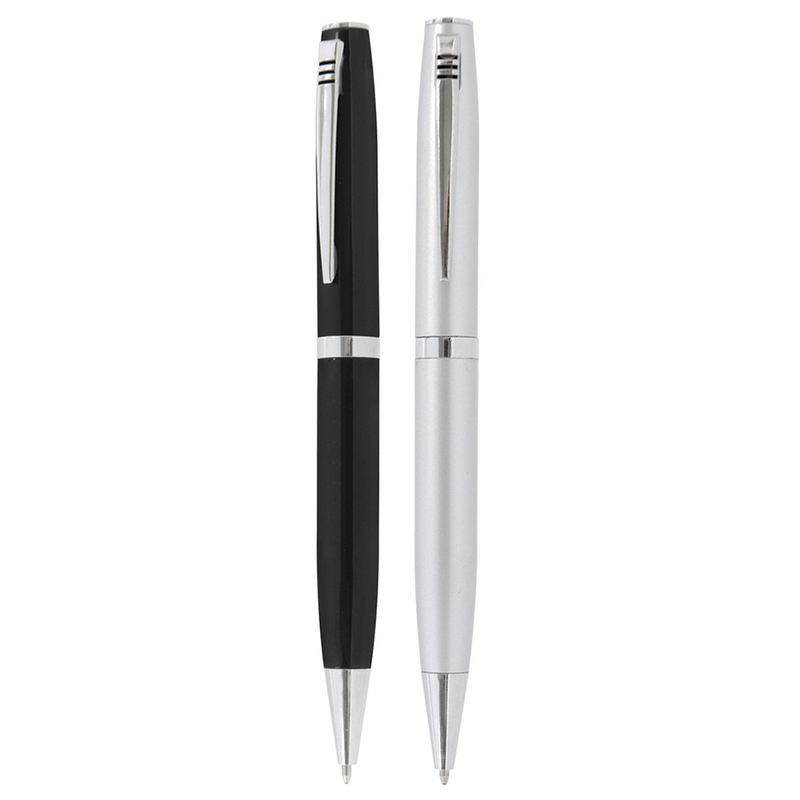 A weighty twist action ball pen with chrome accents and a great print area to the lower barrel. 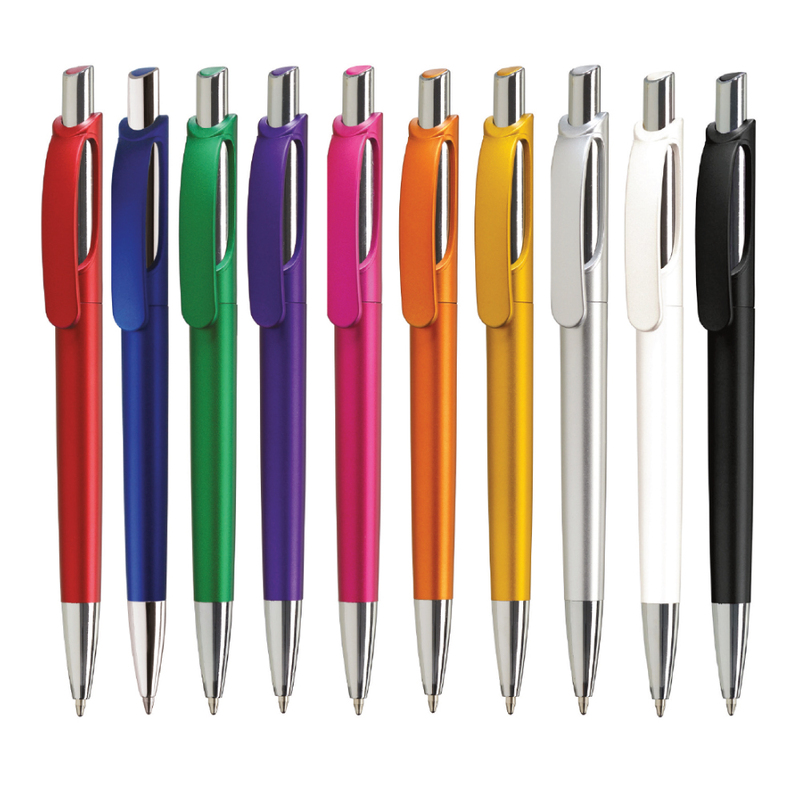 A substantial twist action ball pen with a hinged clip and great print area. 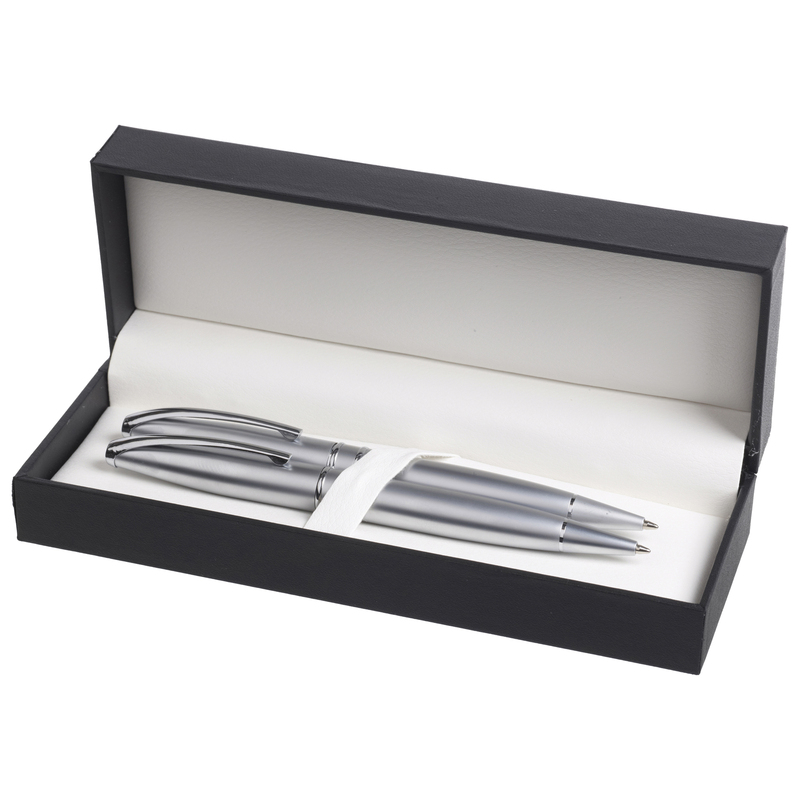 Can be supplied on its own or as a set with the matching roller pen. A USB pen that also has a screen cleaner and phone holder capability! Silver available from stock 2 GB.